Data security phobics look away now... or at least do check whether your wireless keyboard uses a level of encryption capable of evading this sneaky new hack. “Whose phone charger is that sticking out of the wall? Oh. It must be Ben’s. Ben always leaves his charger at work. Classic Ben!” Alas, it’s not Ben’s charger. Hell, it’s not a charger at all. 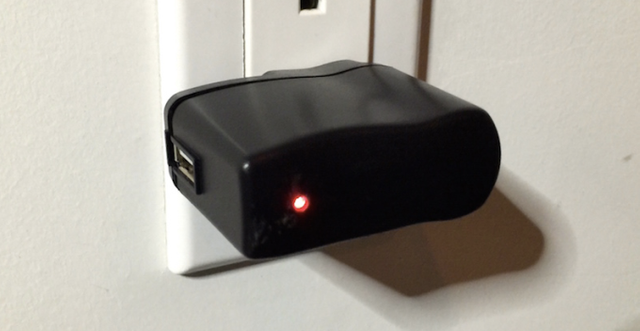 It’s actually a little spy device disguised as a phone charger, capable of sniffing out every key you type on that wireless keyboard on your desk. Oh, and it can send the stuff it picks up straight to the eavesdropper’s phone. Oh! Oh! And it’ll keep working even if you unplug it — it only pretends to turn off.